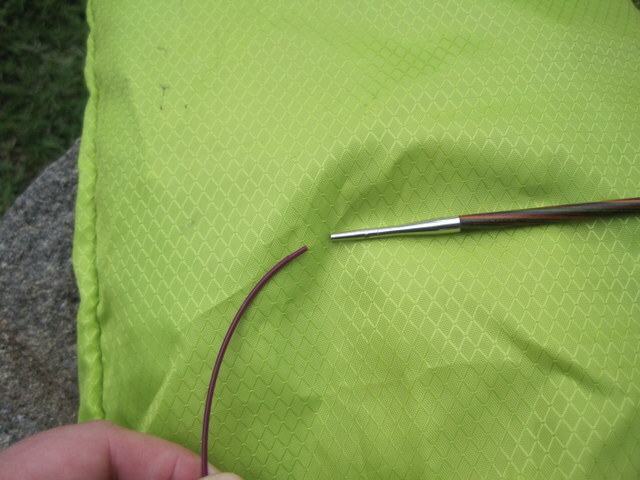 I bought most of the knitting needles I own around the same time, and it seems that they are all going kaput around the same time too. What to do? 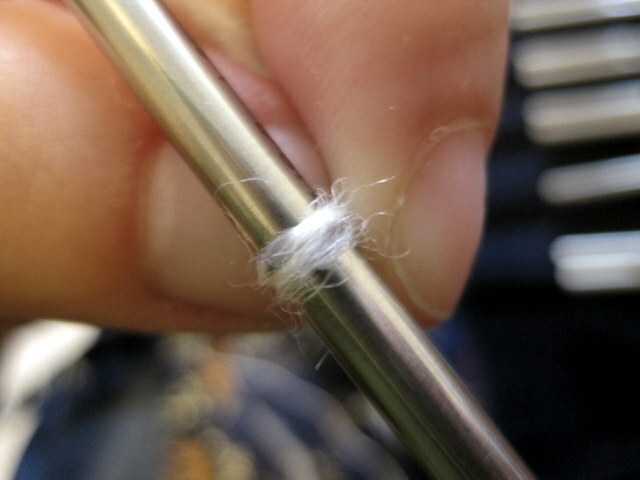 I took some white string (actually some white single I spun a while back and use as a leader yarn on my spindle), wrapped it around the broken needle, and drew a line with a pen. 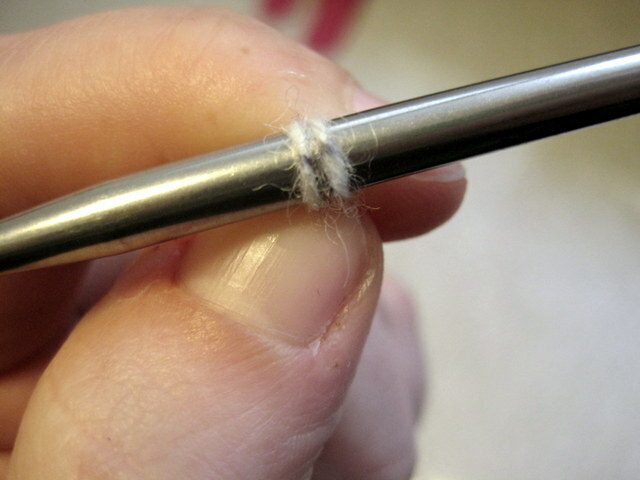 The pen marks will only line up around another needle if it’s the same diameter as the original. 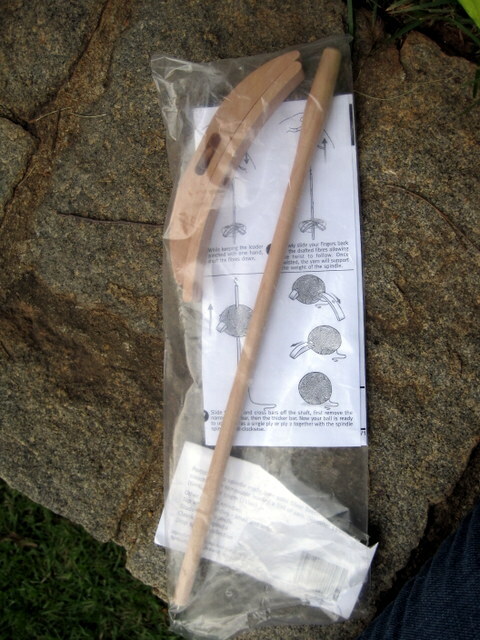 This idea is related to an ancient form of cryptography called a scytale. 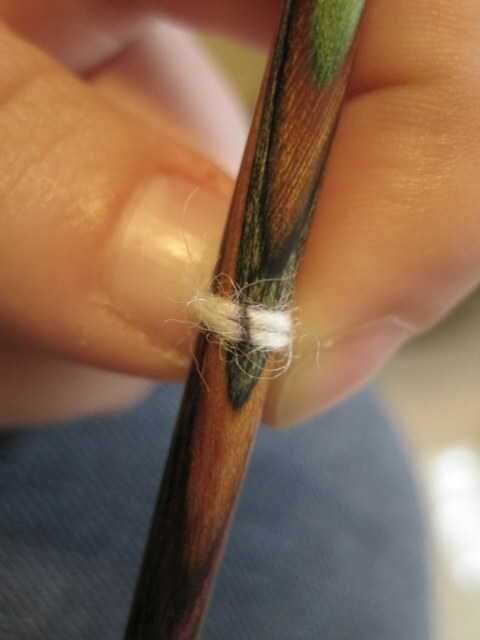 People would send secret messages by wrapping the notes around a stick of a certain diameter; only those with a stick of the same diameter could read the message. 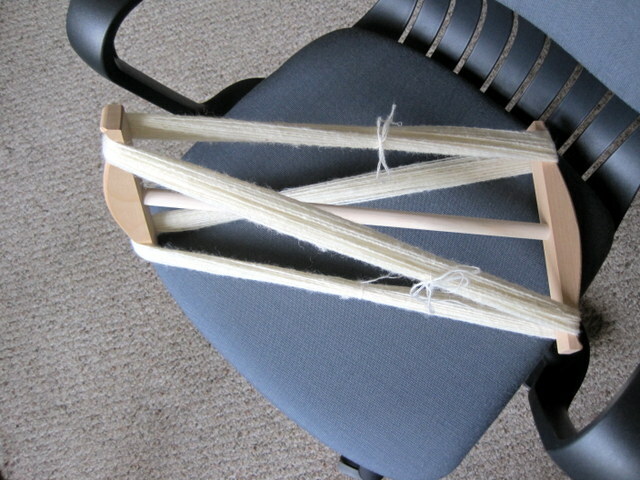 I think this is the first time my academic research has informed my knitting – I’m tickled! 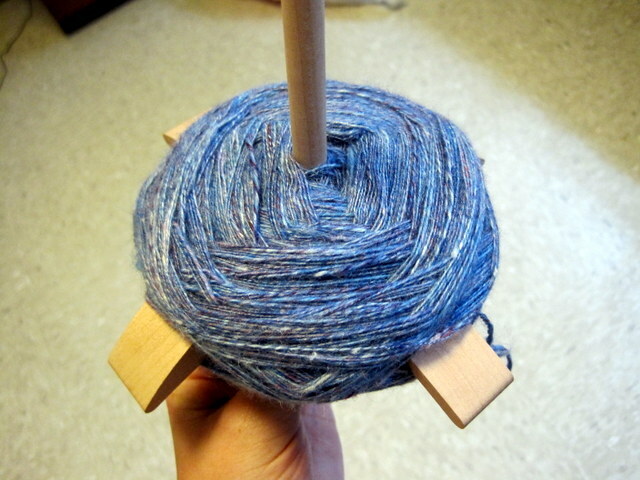 I was wary of taking this ball/cop off the spindle, but ta-da! 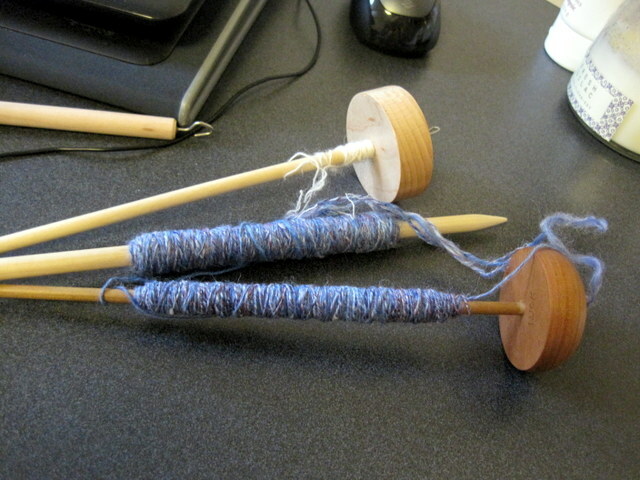 I’m plying now, and haven’t had any trouble with the funny-shaped center pull ball that the spindle formed. 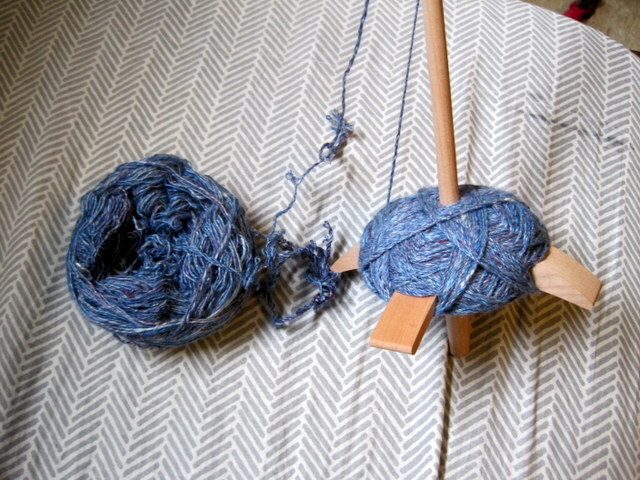 The turkish spindle is much bigger than my others, so the plying is going well and I should be able to fit all the yarn in one big cop (since it fit as a plying ball it should fit at yarn). By end of day tomorrow I will have this done! 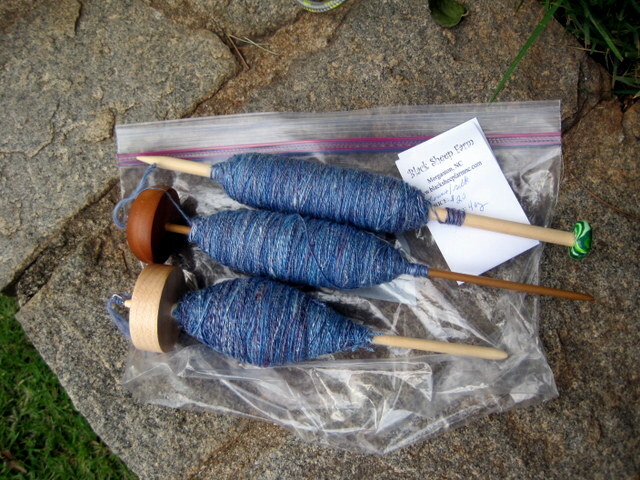 The fiber is a merino/silk blend I got at a fiber festival from a Black Sheep Farm whose website no longer exists. 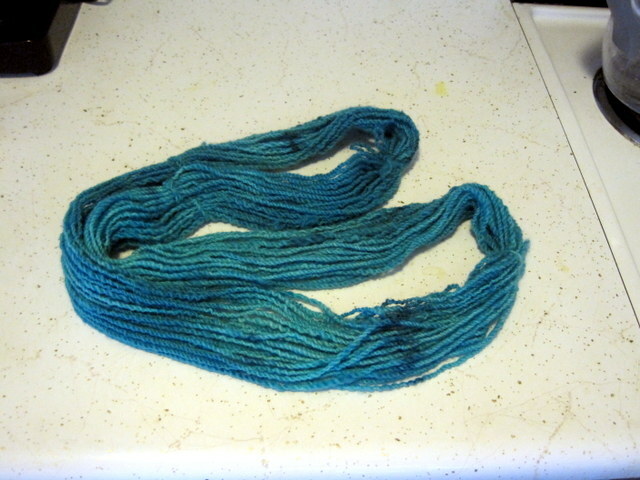 Speaking of handspun, while I was home I used my very first handspun as a guinea pig (it’s scratchy, lumpy, and uneven… not good for much else) and kettle-dyed it! 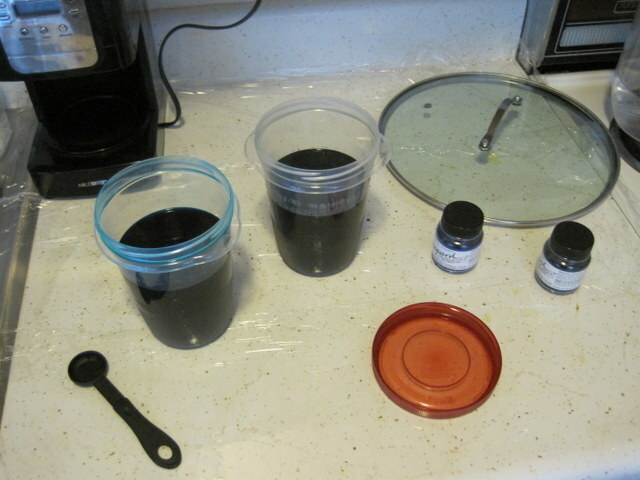 Acid dye powder and dye stock. 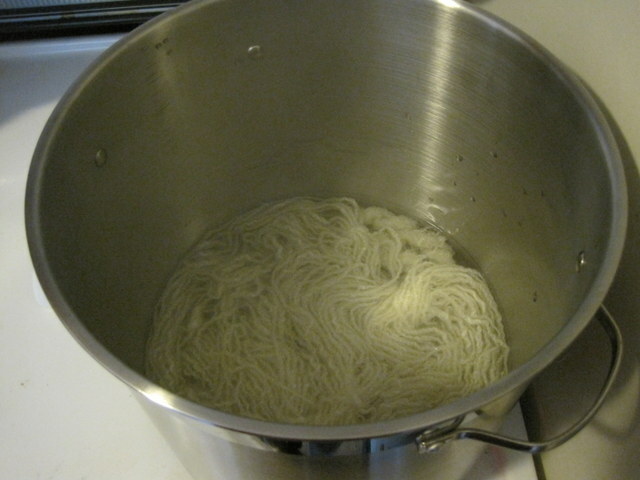 Underneath the steam is a bubbling brew of yarn and dye. 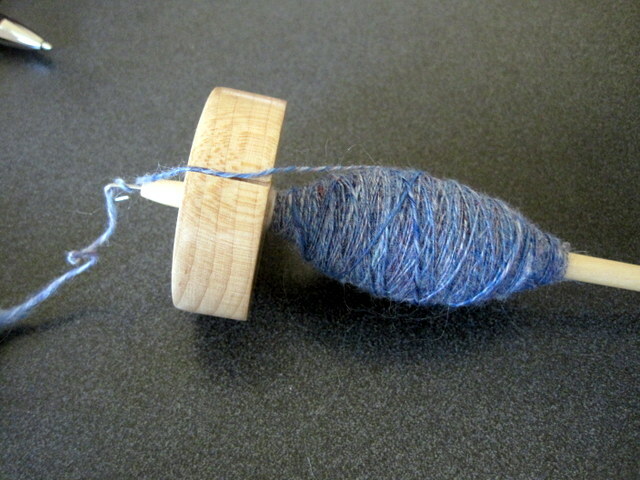 Handspun, hand-dyed yarn. Woo hoo! 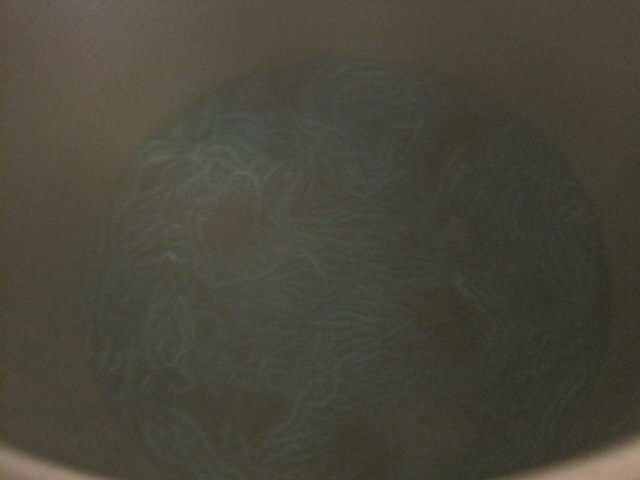 It’s a lot more solid colored than I intended, and it’s hard to believe that there were actually two colors of dye in there. 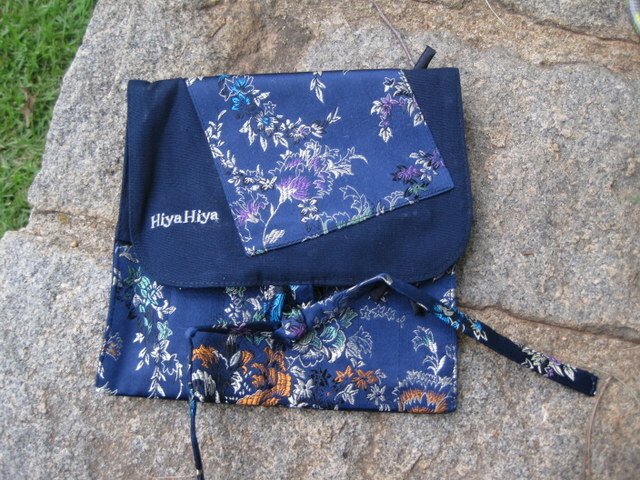 The blue color I used clearly took over. 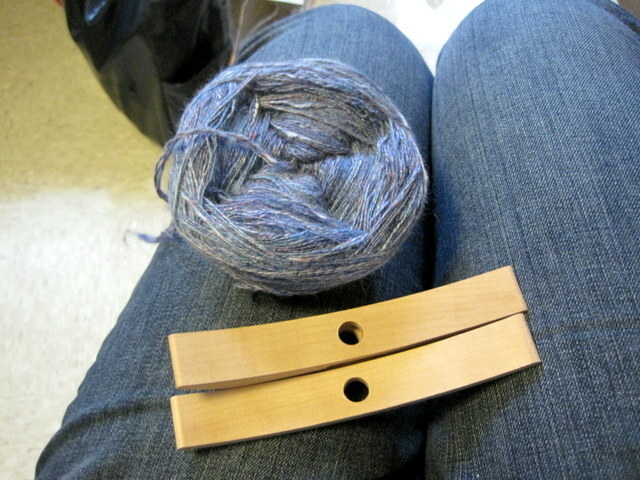 However, this yarn is my baby and it’s beautiful to me anyway!